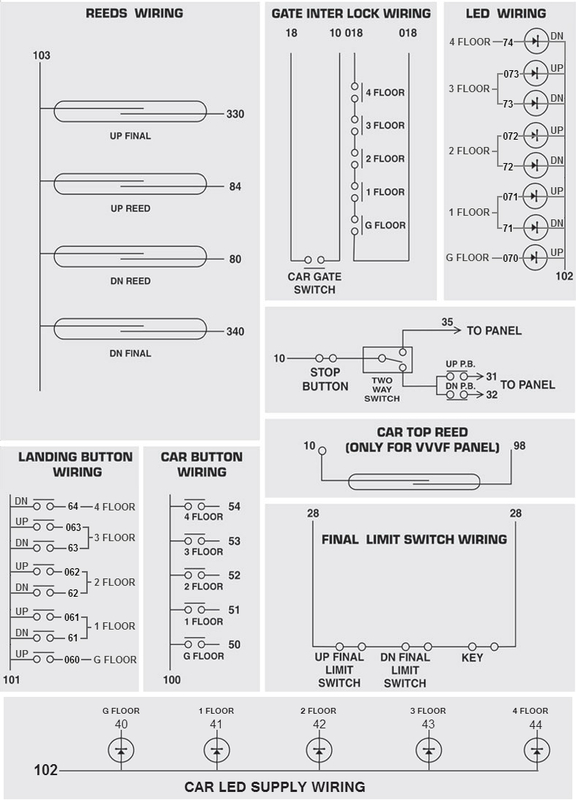 Car top reed logic | G + 4 Collective/Selective Microprocessor controller site wiring details. Copyright © Rigid Controls Pvt. Ltd. 2013. All rights reserved.